Objective: Explain the long and short-term trends and patterns in international tourism. Task 1 - Open & save this recently published PDF document from the World Tourism Organization. This outlines the main trends in the tourism industry over the last 12 months. Complete the following questions. Create a fact box that shows the 'Tourism in the World - Key Figures'. This should include the growth figures for the industry since 1950.
a. Key Trends 2014 - Outline the growth rate and total number of international tourists in the year 2014.
b. How much does international tourism generate in receipts per year (US$)? c. Which countries dominate the 'most visited' league? d. Which country provides the biggest source market? iii. Start of the global financial crisis. f. What the is tourism growth rate predicted to be in 2015? g. What transportation trend was reached in 2014 for the first time? Make sure you record % values. h. Outline the market share (%) of international tourism by UNTWO regions in 2014 and the % change based on the previous year (2013). i. Suggest one example for a geopolitical, economic and health challenge that would have impacted on tourism numbers in 2014.
i. Plot on to the blank map here the top 10 destinations worldwide for tourist arrivals shown on this page including an annotation of the total tourism numbers for each country. Describe and explain the projected trends in world tourism from now until the year 2030. Make reference to specific areas and tourism numbers in your response. You can use this structure sheet if required. Now watch the four videos outlining the possible outcomes for tourism over the next two decades. Listed below. Your activities follow on underneath. Boom and Burst from Forum for the Future on Vimeo. Carbon Clampdown from Forum for the Future on Vimeo. Divided Disquiet from Forum for the Future on Vimeo. Price and Privilege from Forum for the Future on Vimeo. a. In less that 100 words, summarise the message from each of the videos. Add the title to each piece of work. b. Which scenario do you think is the more likely option and why? 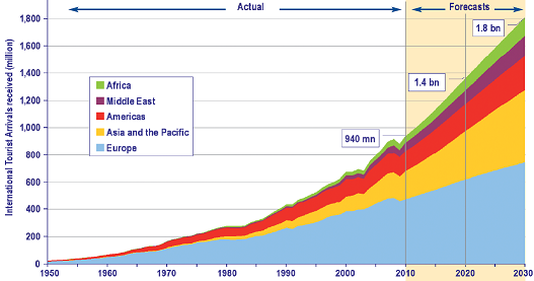 Think about current global trends in travel and the projected tourism figures from the WTO. c. Which of the WTO regions would be most affected by this change in global tourism and what impacts would this have on the economies there? Prepare some speech notes to follow should you be selected to present your work to the group. Objective: Examine the changes in location and development of different tourist activities. 1. Continued positive growth in the European and Americas. 2. Static tourism numbers in poorest African and South Asia countries as well as the often unstable Middle East. What are Primary & Secondary Tourism Resources? Task 1 - Click here to read about the Top 8 Extreme Tourist Activities that exist as compiled by oddee.com. Make a list of these activities and their locations. a. Watch the music video to the right - Seaside Rendezvous. It shows the components of tourism in England in the 1950's. Make a note of the types of activities that tourists were taking part in. b. Watch the second YouTube video to the right hand side up to 6:30 and take notes on the different sorts of extreme tourist activities and locations. Task 3 - Why would people consider travelling to these places to carry out such activities in the name of leisure? Create a spider diagram with at least eight reasons with the help of your teacher. Task 4. Click here to download this Tourism Report PDF. Highlight (pen) the reasons for the changes in location and development of different tourist activities as well as factors that can affect travel to 'new destinations'. Examine the changes in location and development of different tourist activities (10). Task 1 - Click a larger version of the first map to the right. The bright yellow and red destinations show you tourism hot spots and pink and purple, lesser visited destinations. i. 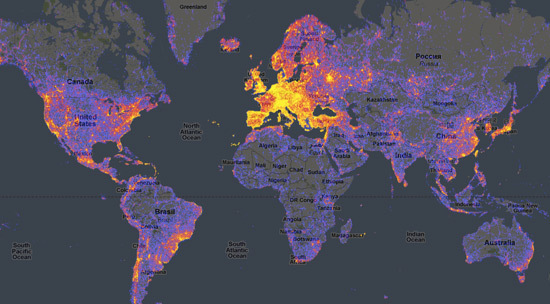 Compare it to the map of 'Top 10 World Tourist Destinations' underneath and to the global flight patterns map. ii. Using all three maps, complete a piece of writing to explain why the top 10 tourist destinations are so popular and why remote tourism is growing. Task 2 - Using this web link (Top 10 Most Remote Places on Earth), plot the locations of the 'Top 10' onto a blank map of the world together with a brief description of both primary and secondary tourism resources and perhaps a suitable image. Task 4 - Homework. Watch the documentary 'First Contact' below. Part 6 is missing but IST does have a copy on the school drive. Please make sure you have access to this. Further investigation: Papua New Guinea, once home to cannibals, still has an exotic aura. The local tourist economy caters to those notions, and visitors may see a hybrid of the traditional and the modern. This story is an intriguing blend--we see traditional cultures engaging in the global economy. They have created two villages: a traditional one designed for tourism filled with emblems of their folk cultures, and another one where people work, live eat and play with various markers of outside cultural and technological influence. "Tourists are taking pictures. They don't want to take pictures of those who are in Western clothes. People who are in Western clothes are not allowed to get close to people who are dressed up in the local dressings." Questions to Ponder: Which village do you see as the more "authentic" one? How can culture also be a commodity? 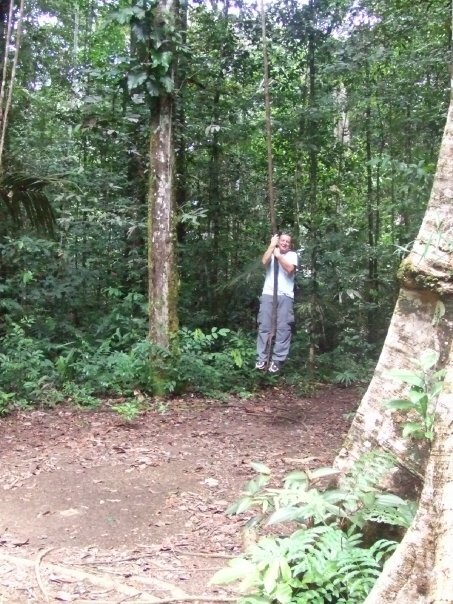 Playing Tarzan in the Amazonian Rainforest, July 2008. Part 6 is missing unfortunately.